In chapter one we talked about how oil changes viscosity as the temperature increases and the challenge it is to keep close to the right operational viscosity regardless of the temperature. If the operating temperature is 212F and the recommended viscosity is 10cSt then OIL A which can be made to be 40 cSt at 104F(40C) is going to be better than OIL B that is 100cSt at 104F (40C). They will both will still be too thick at start up and during the warm up period but OIL A will flow better and waste less energy. When these oils are pumped, they may move at the same rate, but the thicker oil will require more energy to make it move. So when you buy an oil at the store you will see a grade listed on it which will read something like 5W30. This grade is based on the way the viscosity changes to temperature and references a standard chart called the SAE J300. 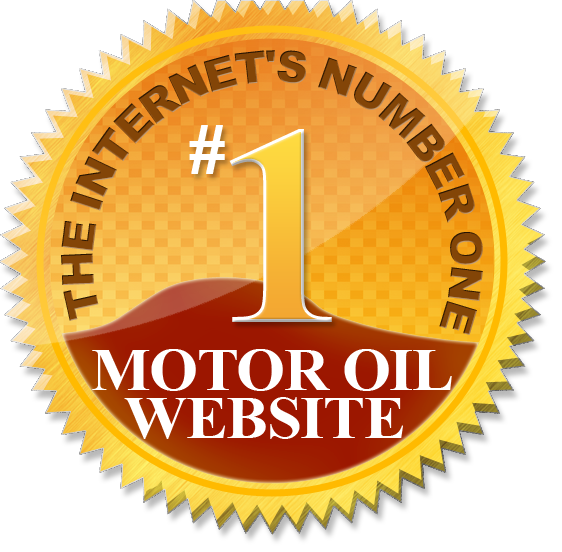 I will not bore you with the details of how the chart has changed over the years, but I will tell you that as engines and oils have developed, the system has been updated to reflect the current way oils are selected by engine manufacturers and oil makers. The system is not perfect but it is used worldwide, so understanding the basics of how it works and how it relates to your engine oil viscosity can help your understanding a great deal. The engine oil grade is divided into two parts: XW and YY to make XWYY (the X and YY are replaced with numbers). I like to think of this as a school grade that is made up of two parts – attendance and participation. In order to get the best grades in school you have to both show up and participate. If you only show up then you the grade will not be the best; if you only show up some of the time your grade also will not be the best, and either way you may not meet the requirements to pass the class. It is the same with engine oil grades. If you want the best grade for your engine, you need both parts of the grade together to meet the requirements of the engine builder’s specification. Instead of attendance and participation, for engine oils we have cold temperature performance and high temperature performance. Like I said we need both in order to do well. This combination of the two parts XW and YY is called a “multi-grade”. Each part of the engine oil grade is based on different tests and have a different numbering system. For the first part (the cold temperature performance) it is based on the flow rate and pumpability at cold temperatures (below 32F or 0C). Each section of the rating scale is based on a range of numbers scored on standardized cold temperature tests. Since winter is cold and it is a good way to remember it, the W is used to indicate that this number is from the cold rating scale. From the lightest viscosity to the heaviest the scale is as follows: 0W, 5W, 10W, 15W, 20W, and 25W. The second part (the high temperature performance) is based on the viscosity rating at 212F (100C) and how the oil responds to high temperatures and something called shear forces; High Temperature High Shear (HTHS). This is an important number that will be talked about in a future chapter. Each section of the rating scale is based upon standardized high temperature tests. From the lightest viscosity to the heaviest the scale is as follows 8, 12, 16, 20, 30, 40, 50, and 60. For an engine oil grade you have a combination of the first part (cold temperature performance) and the second part (high temperature performance); e.g. 5W30. When comparing oils, you can say that 0W30, 5W30, or 10W30 all have similar high temperature performance, with a range in cold temperature performance options. Similarly, you could compare 0W16, 0W20, 0W30 or 0W40 as all having similar cold temperature performance, but with different ranges in high temperature performance. Now you can see that the difference between the desired thickness your engine requires ( = 10 ) is closest to the 0W-30 oil at startup. Although it is still too thick for ideal engine operation, but it does not have as far to go as the 10W30, before it warms up and thins to the correct viscosity. Remember how it is said that most engine wear occurs at startup, which is also when the oil is too thick. Most of the thick oil at startup actually goes through the bypass valve back to the engine oil sump and not into your engine oil galleys where it is spread to various engine components. This is especially true when you really step on that gas pedal. You need more lubrication, but you actually get less. While there is some residual oil that is lubricating the engine during the start-up period and that oil has additives and can provide some lubrication, but the optimal system would be to have the oil at the correct viscosity at all temperatures. In our example the two oils are the same thickness at operating temperature, but very different at start-up, and even wider apart if the starting temperature falls below freezing. So how does this happen? How can you have two oils with different grades both meet the same high temperature performance, yet one is much closer to the correct viscosity at startup? The answer is in how the oil is made.